How DSC Gave me the Confidence to Play College Soccer! Before DSC my workouts were mostly running. I didn’t really understand the importance of strength training and how total body training could decrease my risk of injury and improve my performance. My goals in high school were to improve strength, speed and injury prevention, but I did not know exactly how it all would work. When I started at Dynamic that changed! I remember my first session at DSC. It was great because all the coaches were so supportive and friendly. I felt at home immediately, which made the challenging workouts a lot better. The coaches have been great at DSC. I’ve worked with just about all of them at this point to some degree. They are all very knowledgeable and approachable, and they truly care about your success. They don't take themselves too seriously either. Sometimes they'll wear ridiculous outfits, especially during holidays, which is funny, but even on those days they still work us just as hard. DSC has helped me to gain confidence in my ability to compete at the college level. This year my team was the #3 Division III Women's Soccer Team in the country and lost in the National Championship. After my first summer of intense workouts at DSC, I was able to step into the competitive college environment and feel stronger, faster and more confident playing as a freshman. That continued this past summer, leading up to my sophomore year in college. 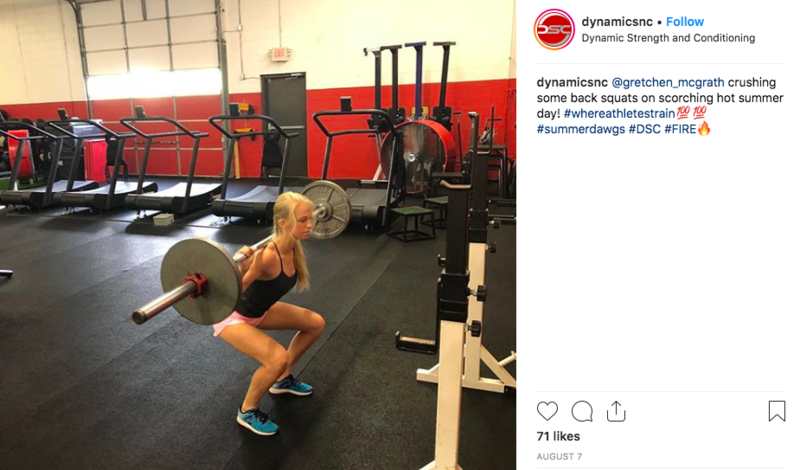 When you reach a higher level of fitness with the help of the DSC coaches, your results will show on the field, court, or wherever you are competing. My overall experience has been excellent at DSC. I miss DSC a lot when I am away at college, and I miss the gang there but having them check in on me while I'm gone makes me feel cared about. My biggest accomplishment at DSC has been pushing myself with weights beyond the point I thought I could. The part of my training that has had the biggest impact for me in college sports is gaining strength, power and my overall fitness and stamina. My advice to athletes thinking of joining DSC is to give it a month of hard work, and you will be hooked! You will start to see what serious training can do for you and your speed, strength, endurance, and confidence. You will also love the personal attention and fun you have with all the coaches there.